When you need hose, tube, or pan cure release agents for your process, you can rely on Release Coatings of NY to have the product that will best suit your needs. Our products have the release performance you need. An exceptional release for Vamac® AEM, FKM, NBR, and NBR/PVC. Apply manually to the mandrel or to cut hose by dipping. This is an excellent product for the Tube & Lube process. It was specifically developed for Vamac® AEM, FKM, NBR, and NBR/PVC. A striking release for Vamac® AEM, FKM, NBR, and NBR/PVC. Apply manually to the mandrel or to cut hose by dipping. This high-viscosity product offers good release performance with EPDM. Apply manually to the mandrel or to cut hose by dipping. This product has an inhibitor to prevent discoloring on the mandrel and buffer condensate. A medium-viscosity, water-soluble release coating for applying to formed hose by dipping. This product is slightly hydrophilic, and upon exposure to ambient air, its viscosity will increase and form a soft gel. This product is excellent for use in the Tube & Lube process. It is pumped inside the hose at the extruder. This material becomes a soft gel with heat and adheres to the interior of EPDM, NBR, and CPE extruded green hose without dripping. A medium viscosity material for use with the Tube & Lube process. This product is pumped inside the hose at the extruder. It becomes a soft gel with heat and adheres to the interior of the EPDM, NBR, and CPE extruded green hose without dripping. This product is outstanding for use in the Tube & Lube process. It is pumped inside the hose at the extruder. This cream-like paste adheres to the interior of the EPDM, NBR, and CPE extruded green hose without dipping. It is a "green lube" with good slip and a very low BOD/COD. A low-viscosity material for use with the Tube & Lube process. TM-919-CB is pumped inside the hose at the extruder. It becomes a soft gel with heat and adheres to the interior of the EPDM, Vamac®, FKM NBR NBR/PVC CR ECO, and CPE extruded green hose without dripping. This product is great for dipping and pinning applications. It allows for use of low insertion force along with easy unloading. This material reduces pin buildup and works well on EPDM and CPE. A notable product for dipping and pinning applications. This allows for use of low insertion force along with easy unloading. It reduces pin buildup and works well on EPDM and CPE. This high viscosity material offers good release performance with EPDM. Apply manually to the mandrel or to cut hose by dipping. TM-257-B7+ This product is a calcium stearate-based material that was developed as an anti-stick agent for compound, slab dip, calendar process, extruded, and pre-form rubber in the green state. It performs well with EPDM, CSM, SBR, NBR, NBR/PVC, IIR, HNBR, ACM, ECO, FKM, and MQ compounds. TM-257-B7(5A) This is an excellent choice for an anti-stick product for rubber in the green state and is used in slab dip, extruded, pre-form, and calendar processes. It is a blend of stearates and is used on EPDM, CSM, SBR, NBR, NBR/PVC, IIR, HNBR, ACM, ECO, FKM, and & MQ compounds. TM-257-NS A non-stearate, anti-stick coating that dries without powdery residue. It is compatible with EPDM, CSM, CPE, SBR, NBR, NBR/PVC, IIR, HNBR, ACM, ECO, VAMAC, FKM, and MQ Compounds. TM-257-PB This anti-stick agent is for tube and cover in the green state. It helps prevent the coded ink from coming off the hose cover during cure. This Is a water-based, solvent-free dispersion of high molecular weight polyethylene wax. It was developed as an anti-stick agent for extruded rubber in the green and vulcanized states. An anti-stick for cover of extruded hose in the green state. 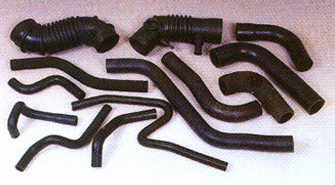 This product was introduced for hose processes that require fast drying before the extruded rubber hose is reeled up. This water-based, non-silicone emulsion is used for hose cure in the green state. A calcium stearate dispersion with excellent anti-stick properties developed for customers who prefer not to use zinc stearate for hose and tubing in the green state. An acrylic polymer and protective coating for hose cure release during the salt cure process. This is a water-based, cross-link resin system of non-fluorocarbon material. It was developed as an anti-stick agent for extruded rubber in the green and vulcanized states and to enhance the release properties of peroxide and sulfur cure systems in the pan cure process. 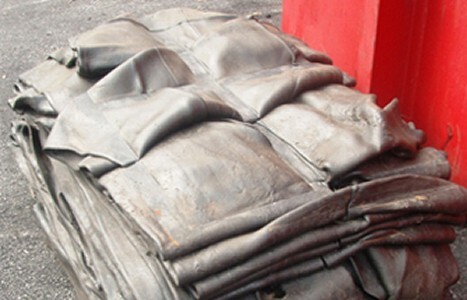 TM-700- RR is currently being used on EPDM, CR, NBR, and CPE compounds. An anti-stick agent for extruded rubber in the green and vulcanized states. This material was designed to enhance the release properties of peroxide and sulfur cure systems in the pan cure process. It has excellent release properties for EPDM, CR, NBR, and CPE compounds. This is an anti-stick agent for cover of extruded hose in green state. 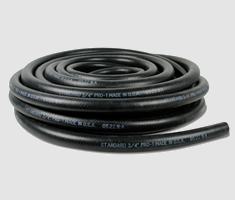 It allows the hose manufacturer to print on the hose after vulcanization and leaves a flexible dry film on the rubber surface. A water-based, solvent-free dispersion of a high molecular weight polyethylene wax. It was developed as an anti-stick agent for extruded rubber in the green and vulcanized states. TM-816-1 is currently being used on EPDM, Neoprene (CR), ECO, NBR, and Hypalon® (CSM) compounds. This is a nylon, 6.6 cure tape release coating. 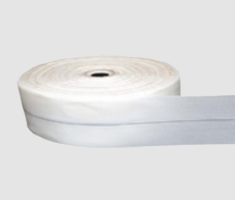 It is designed specifically for use with nylon, 6.6 cure tape for hose cover of EPDM, CPE, CSM, and CR rubber. TM-222 is a water-based reactive emulsion with outstanding anti-stick and release properties. A nylon, 6.6 cure tape release coating designed specifically for use with nylon, 6.6 cure tape for hose cover of EPDM and CR rubber. It is a water-based, PTFE reactive emulsion with outstanding anti-stick and release properties. This nylon tape coating is made with a water-based fluorotelomer with a higher solids content than TM-1136. It releases easily from tackier cover compounds like EPDM and neoprene. A unique, water-based fluorochemical/fluorotelomer blend, nylon tape coating. It prevents color transfer during vulcanization.